Several years ago Norwich Free Academy bought a new pole vault pit. I asked the head coach what they intended to do with the old one. He looked at me with that look that people get when it is clear that they have not ever thought about your question before, and said something like "I'll be darned if I know." "Darned" may not have been his exact word. So when the new pit arrived I took the old one and put it in my back yard. I was younger in those days and I was still trying to compete, so I had a lot of fun jumping in my own backyard. Then as I got to know pole vaulters from the area whom I met at track meets, it simply seemed natural to invite many of them over during the summer to do a little jumping. I quickly realized that getting vaulters together for these "open pit" sessions (a pole vault version of "open gym") was having a really positive effect on the esprit de corps among area pole vaulters. Kids from different schools got to be friends and began hanging out together at meets and helping each other. We vaulted in my backyard for several summers and then into the fall (so long as the weather allowed) as well. I started Skyjumpers Connecticut so that I could take advantage of liability insurance through USA Track & Field. Then I incorporated the club in Connecticut. That's why I require all vaulters to both join the club and USATF: for insurance. I thought about how I might be able to set up an indoor facility for a couple of years. I visited facilities in Texas (George Rodriguez) and Pennsylvania (Vertical Assault) to get some ideas. Then in 2006 I got lucky and found space in Niantic with ABC's Gymnastics. Gill Athletics offered the standards and pit at a discount price, and the next thing I knew I had an indoor pole vault facility and began offering group lessons. Honestly, it simply just all fell into place. The club continued to grow and then in early 2008 moved to Norwich to share space with Thames Valley Gymnastics. Five years later, we moved again when Thames Valley Gymnastics built a new facility in North Franklin, CT. In the Summer Groups 2013 we had over 40 vaulters participating. I emphasize fundamentals and attention to detail. If you expect quick results or overnight miracles, you have come to the wrong place. The only way that I know to get good at pole vaulting is by working very hard on basic drills over and over. I try my best to help each vaulter improve every session and become the best that they can be. 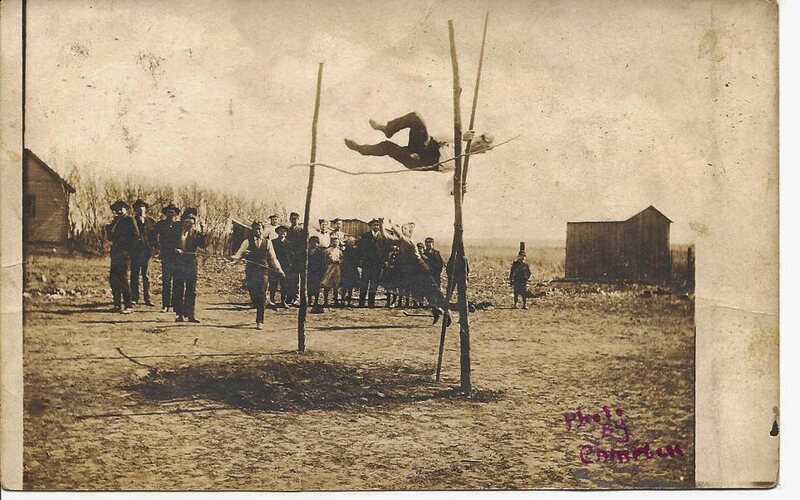 Wishing everyone safe and happy vaulting!